My first memories as a young child are memories of drawing. My parents had grown up as farmers and ranchers in Colorado and Wyoming, and I spent younger days exploring family farms and the outdoors. Capturing places and objects of affection in drawings have been part of my daily life. Starting to paint seriously later in life - largely self-taught - painting has changed the way I experience and appreciate life. Everywhere I look, I see a painting. I have a great appreciation for the light, texture, and geometry that occur in nature and in life. All places, people, and things have inherent beauty. A rustic old truck, desolate place, or busy main street can emit peace, beauty, and a sense of place. Artistically capturing the impressions of light, texture, and geometry of everyday life is my artistic ambition. I paint with a palette knife because it gives me the opportunity to interact with paint in a very tactile, expressionistic way. Each viewer of my art is able to gain a strong sense my physical interaction with the paint, with each stroke and manipulation visible forever. 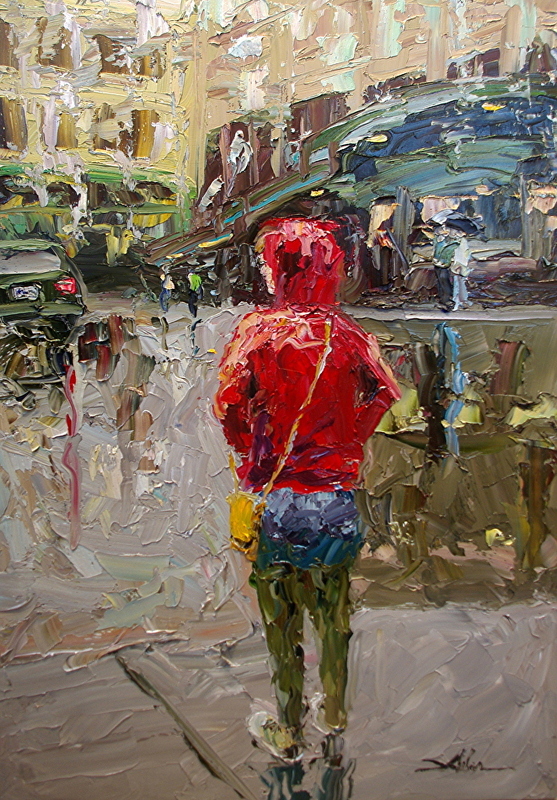 The surfaces of my paintings are very telling, sometimes resembling a mosaic of palette knife strokes. Being blessed with an unusual first name allows me to sign my work with my given name.